Second hand washing machines can save you a lot of money in getting a great washer for much less than the price of buying a new washing machine. Washing machines need repair almost twice as often as dryers. Because they are spinning water as well as air & clothes, washing machines take a lot of abuse and have more parts to handle the soap, water, and movement of the clothes, water & soap. When you buy a second hand washing machine from Appliance Services, you know that your washer has been properly cleaned, inspected, parts replaced if needed, tuned, and is covered by a warranty. Also important is the free delivery that you get with second hand washing machines. Washing machines weigh around 90kg and can be very difficult to move without damaging the internal mechanics or the feet of the machine without the correct transport equipment & installation skills. If you have to move a washing machine without our help, be careful not to put pressure on the control panel as these are often attached only by a few bits of plastic and will break off if pushed too hard. Stop into our show room and we can talk through what sort of washing machine will suit your family's laundry needs best. Appliance Services has a range of second hand washing machines available for purchase from our store in New Brighton, Christchurch that range in prices from $445 to $695 including our 12 month guarantee. We also hold a cheaper range of second hand washing machines from $295 including a three month guarantee, and mid-range washers around $375 with six months warranties. 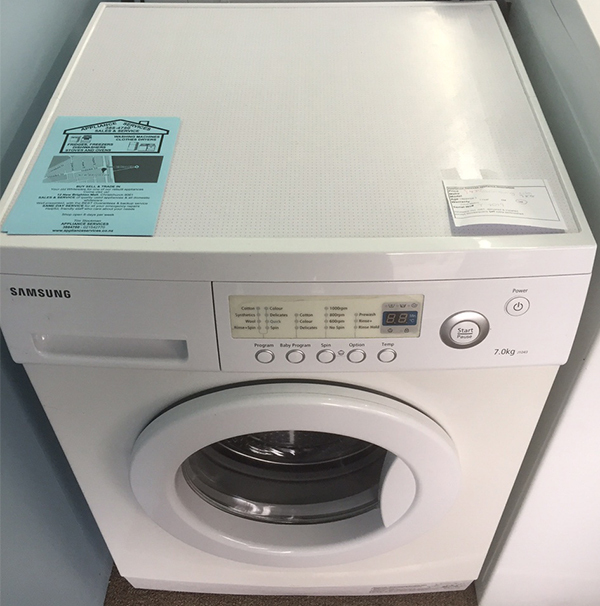 We are so confident that our Overhauled Second hand washing machines will run smoothly, that we offer a guarantee / warranty for your buying peace of mind on our premium range of washers. The length of time your machine will be covered is clearly displayed on each second hand washing machine in our store in New Brighton. I've just had very positive dealings with Tim and the Appliance Services team and am now the proud owner of a second hand new to me dishwasher that works beautifully. I didn't even realise they were in New Brighton. You provide a prompt, friendly and very reasonably priced service and I'll be recommending you to others.